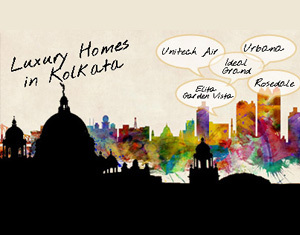 Your home at Kolkata's first ever fashion district and is just a walking distance from Sector V, the IT capital of Eastern India and New Town. 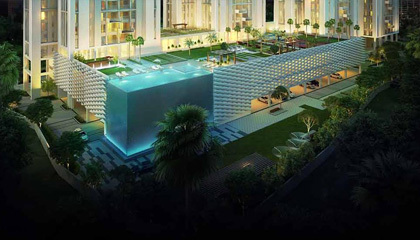 5th Avenue, a residential project by Merlin Group, will be of 22 storied 5 majestic high-rise towers with 441 residences designed to offer unmatched living spaces spelling elegance and luxury. 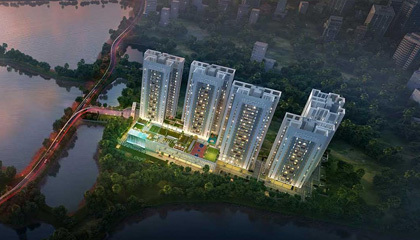 This elite project is vaastu-compliment and a perfect choice for those who are looking for luxury apartment in Kolkata. Excellent features and amenities adorn the apartments in 5th Avenue that range from Gymnasium and Virtual Gaming zone to Home Theatre Room and Infinity Pool. Other features include Yoga Deck and room for senior sitting, Kids Play Room and Jogging track. 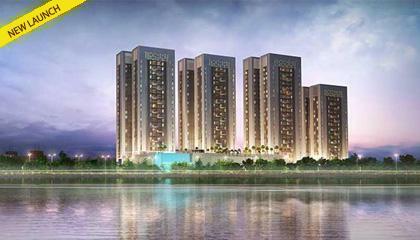 The project is uniquely located in Mahisbathan, adjacent to sector v, Salt lake and New Town. Located at Salt Lake City or Bidhannagar, this elite project offers great connectivity to all parts of Kolkata including Rajarhat, Park Circus, Science City, Baguihati, Lake Town, Dum Dum Airport, Rabindra Sadan, Ruby, Garia, Jadavpur and more. Merlin Group is a recognized and admired brand which has moved from strength to strength over past three decades. 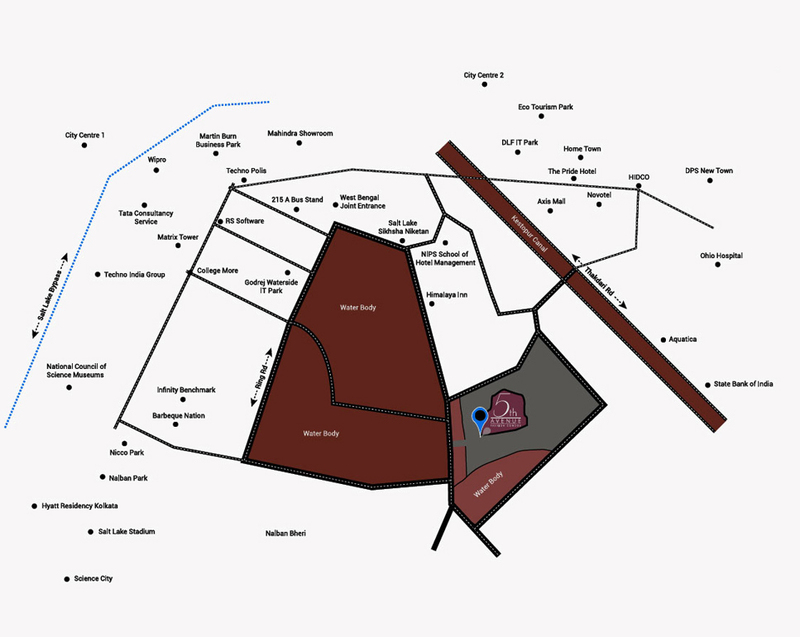 Its accomplishments consist of over 50 residential and commercial complexes and 150 independent bungalows. Merlin Group has innovated with various formats and core projects including premium housing, essential housing, country homes and bungalows, specialty malls, office towers, I.T. buildings, hotels new generation clubs, and resorts, serviced apartment's stadium and townships. Merlin Group is a recognized and admired brand which has moved from strength to strength over past three decades. The Group stands firm on commitments, not only to upkeep its tradition but to strive to improve its offering and service in providing "A Home for Every Indian". Its accomplishments consist of over 50 residential and commercial complexes and 150 independent bungalows. 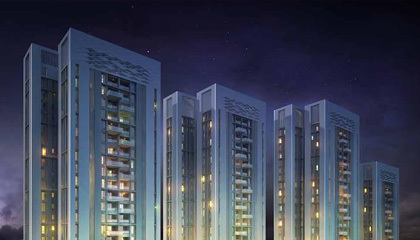 The Merlin Empire has made its presence to other parts of India with its various residential and commercial projects at Chennai, Chattisgarh and Ahmedabad. Booking amount 2 lacs + Service tax.